Main Office - NEW 4/14/18! 17840 Des Moines Memorial Dr S.
Below is the District's Sewer Line Service Map. 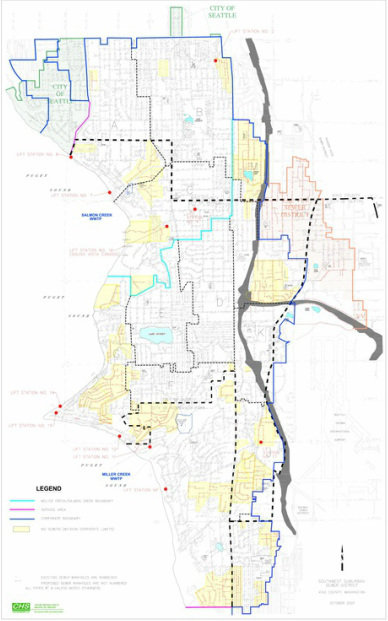 The map contains the District’s main sewer lines shown in black, some proposed sewer lines are in red and the unsewered areas are in yellow. The individual property lines are not indicated.